Italian cooking lesson for our World studies international recipes section. We are having an Italian cooking lesson for this world studies session. Italians have some of the most famous recipes that people around the world try to duplicate. 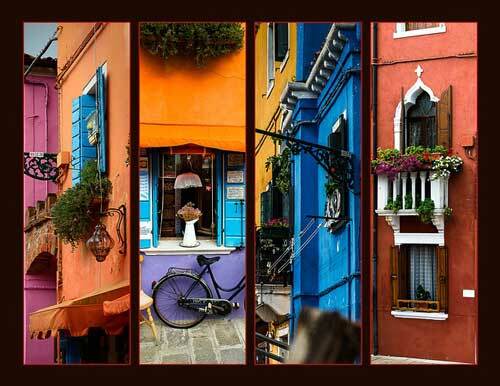 Whether it is a complex recipe or a simple lasagna, Italian recipes are sure to please. 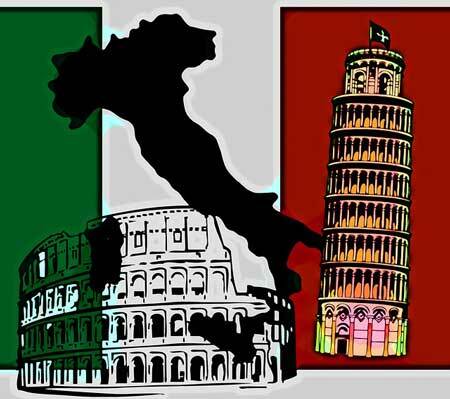 Common ingredients for Italian recipes are Prosciutto, fresh mozzarella, fresh tomatoes, basil, pesto, roasted pepper or fresh pasta. As a matter of fact pasta was invented here as well as pizza. Mealtime is family time for Italians. They gather together as a family, local stores close for several hours and many children go home from school for lunch. Italy is a rather small country about the size of Arizona, USA. 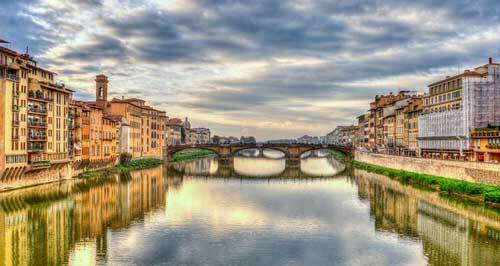 Art, ever heard of Michelangelo's Sistine chapel in Rome. He painted the roof of the chapel for four years. Ho fame (oh fah-meh)-I'm hungry. 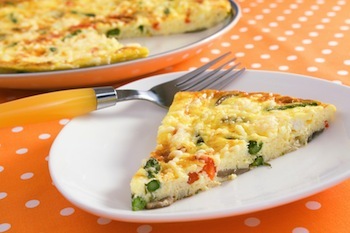 Frittata is an Italian word for omelet. In large skillet or pie plate add 1 teaspoon olive oil. Spread around to coat bottom and edges. In mixing bowl beat together eggs, salt, pepper, cheese, basil, and sage. Stir in chopped ham, zucchini, and onions. Pour egg mixture into skillet and bake at 375 degrees for 15-20 minutes until the frittata is set. Top with sliced tomatoes and more Parmesan cheese. In this Italian cooking lesson it is important to know that Italian bruschetta and Italian Crostini are similar but Bruschetta is grilled or toasted bread rubbed with garlic and oil. 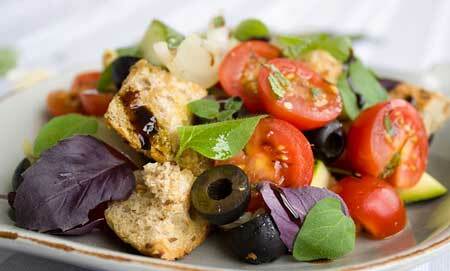 Olive oil is the key ingredient in Bruschetta. 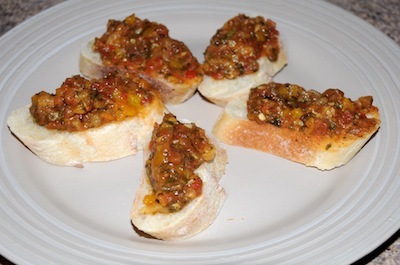 Crostini is also slices of thin bread but they are usually served with cheese or tapenade (olive paste). On a cookie sheet place sliced bread. Broil several minutes until golden brown. Meanwhile stir garlic and olive oil together. Brush each bread slice with garlic oil. Spread chopped tomatoes on top of each bread and sprinkle with salt and pepper. Warm in the oven. Sprinkle with chopped fresh basil and serve. 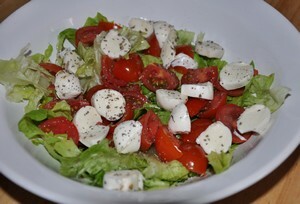 This could be the start of a Italian cooking lesson as it is an easy Italian cooking recipe. Saute garlic in olive oil and add carrots, broccoli, bell peppers and spaghetti sauce. Let simmer about 8-10 minutes until vegetables are tender. In separate bowl mix cottage cheese, Parmesan, parsley, mozzarella cheese (save some for sprinkling on the top) and eggs. Spread a thin layer of sauce on bottom of a 8x11 or 13x9 pan. Lay lasagna noodles on bottom of pan. Spread cottage cheese mixture over top of noodles. Spread more sauce on top of noodles. Continue layering in pan until the pan is full. Sprinkle mozzarella cheese on top and bake at 350 degrees for 35-40 minutes or until noodles are tender. If you have a family favorite lasagna recipe try it for a Italian cooking lesson. 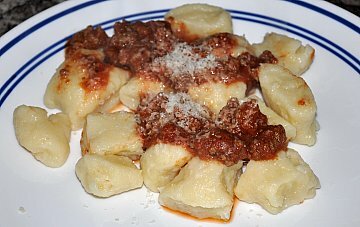 Make homemade pasta and then learn how to make Homemade Tomato Sauce for your Italian cooking lesson. Cook and mash your potatoes. Set aside. In a mixing bowl, add eggs, salt, cheeses and butter. Blend together. Add in mashed potatoes and flour. Blend together until dough forms a ball. Knead gently on a floured counter. 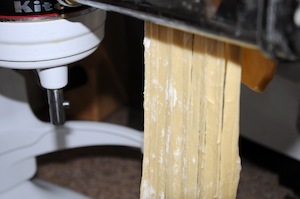 If your dough is too dry add a tablespoon of water until it forms a ball and kneads well. Separate dough into 4 balls. Roll into thick ropes. Cut each rope into ¾ inch-1 inch pieces. Pour water into a large pot and add salt. Bring to a boil. Place gnocchi pieces into boiling water. 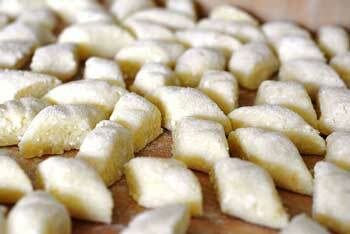 When gnocchi rise to the top take them out with a slotted spoon. Sprinkle with Parmesan cheese and serve with pasta sauce. Serve immediately. In large saucepan add butter and olive oil. Allow to heat and melt butter. Add grated onion and saute several minutes until onion is transparent. Add in rice and stir until all rice is evenly coated and glassy looking. Add chicken broth and turn stove to medium-low. Let simmer covered for about 10 minutes. Stirring occasionally. When rise is tender stir in butter and cheese. Serve immediately. Combine dry ingredients in a bowl including flour, baking soda, salt and nuts. Set aside. In mixing bowl beat together eggs, sugar, butter, zest, vanilla and almond extract. Slowly stir in flour mixture. Blend together. 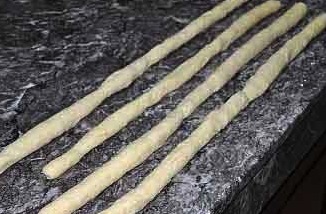 Place dough on a floured surface and divide in two. Shape dough into a long loaf. Lay both loaves on a greased cookie sheet. Bake in a 350 degree oven for 25 minutes or until firm and lightly golden brown. Cut loaves diagonally into slices. Place on cookie sheet and bake another 10-15 minutes turning over once. 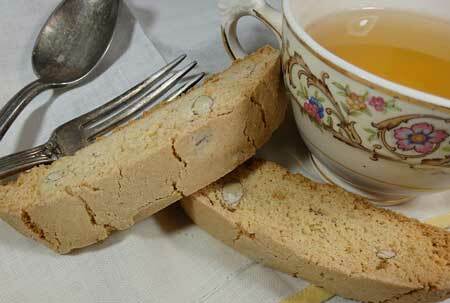 Biscotti will become crisp and you can cool on wire rack. An easy way to make cannelloni (they resemble stuffed tubes) is to use lasagna noodles. Place the filling on top of the lasagna noodle and roll up the noodle. 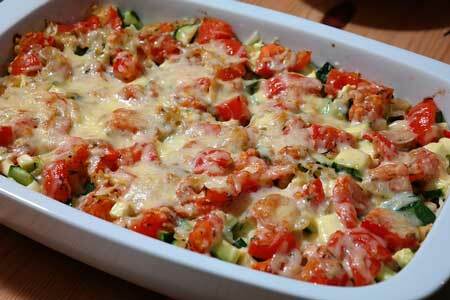 Place in a casserole dish and top with tomato sauce. In saucepan add broth and water. Bring to a boil. Then add pasta and meatballs. When pasta is tender. Stir in chopped spinach and pizza sauce. Heat through and serve immediately. Italian wedding soup usually isn't served at weddings. It gets its name because of the fact that the spinach and the meat goes (marries) well together. Place sliced tomatoes on a serving platter. Sprinkle with chopped herbs and drizzle olive oil over the top. Sprinkle with salt and pepper. Easy Italian cooking can't get much better than this. Cut bread in slices and cube. 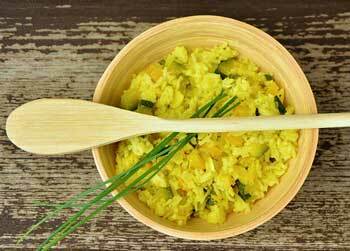 You need about 4 cups for this recipe. Place cubes on a cookie sheet and toast until golden brown stirring several times. In serving bowl, add bread cubes, diced tomatoes, diced onion, juice from tomatoes, fresh basil leaves, and 1 cup olive oil together. Toss to coat. Season with salt and pepper and serve immediately. Layer slices of mozzarella and tomatoes onto a serving platter. 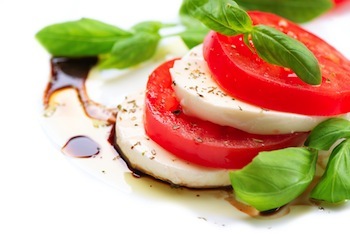 Drizzle with olive oil or balsamic vinegar and sprinkle with salt and pepper. Add chopped basil if desired. See our Italian Party Theme Dinner for more recipes!